The museum in Lismore Heritage Centre risked losing its Accredited Status because of its cramped and inadequate archive and objects storage room. 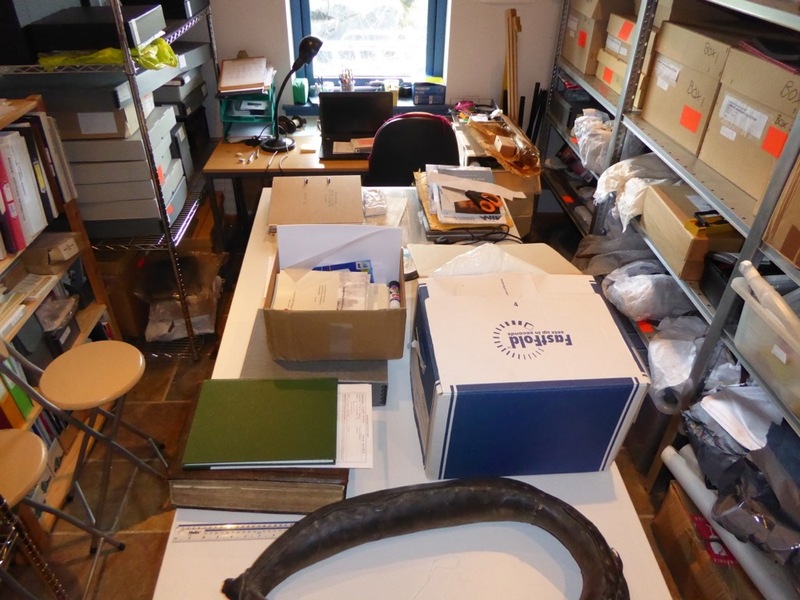 There was very little space to work on or study the collections. The situation had become particularly difficult because of the accession of archaeological artefacts awarded under Treasure Trove in 2016. 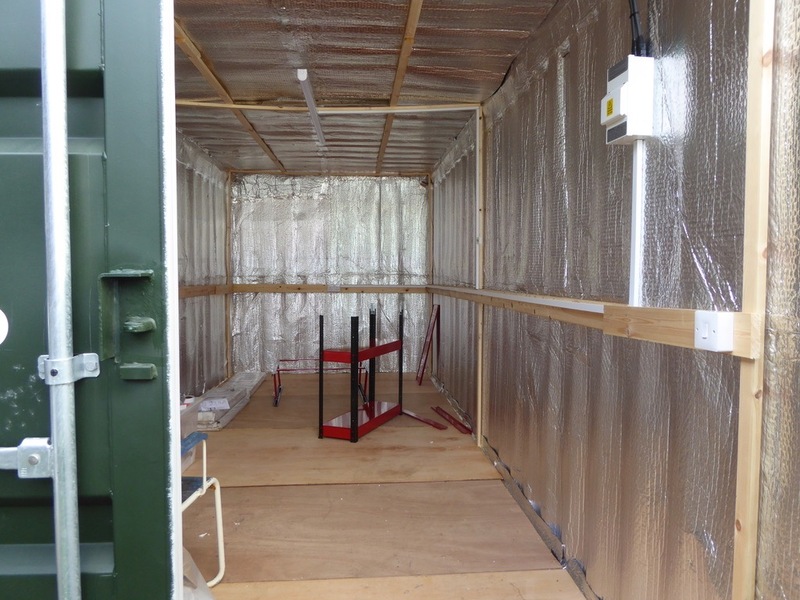 Having studied the solutions used by the Museum of Scotland, and realized that a built extension to the building would be very expensive, the curators (with the full support of the Board of Trustees) decided to establish and fit out a storage container to house the bulk of the (less vulnerable) objects. 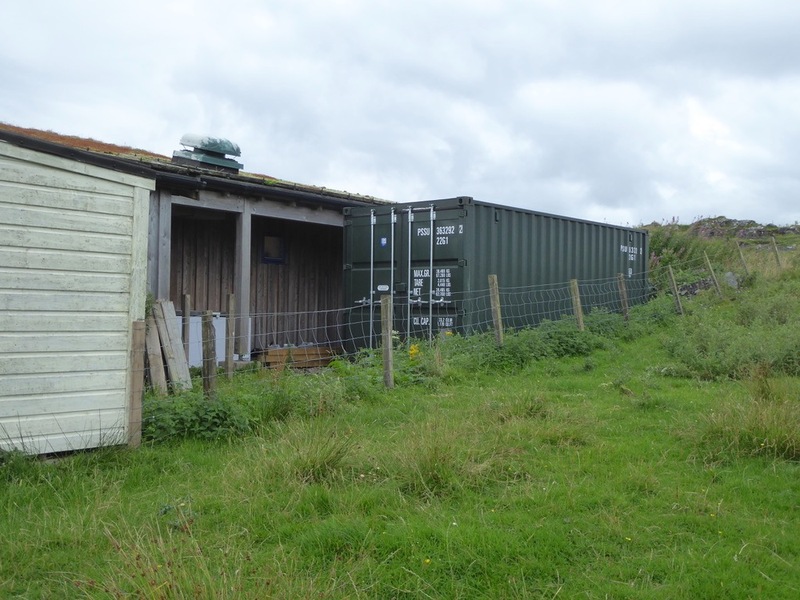 With a generous grant from Museums Galleries Scotland, CELM bought a “once used” standard shipping container from McQueen Brothers (Oban), who brought it over on the Oban ferry in June 2018 and, very skillfully, manoeuvred it safely into a very restricted space. 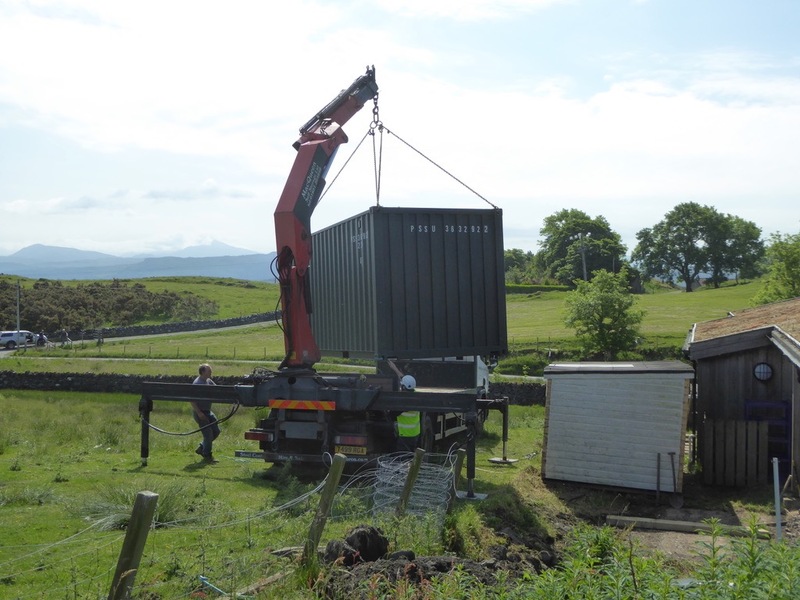 The fitting out of the container was funded by generous grants from AIM (Pilgrim Trust) and Museums Galleries Scotland. 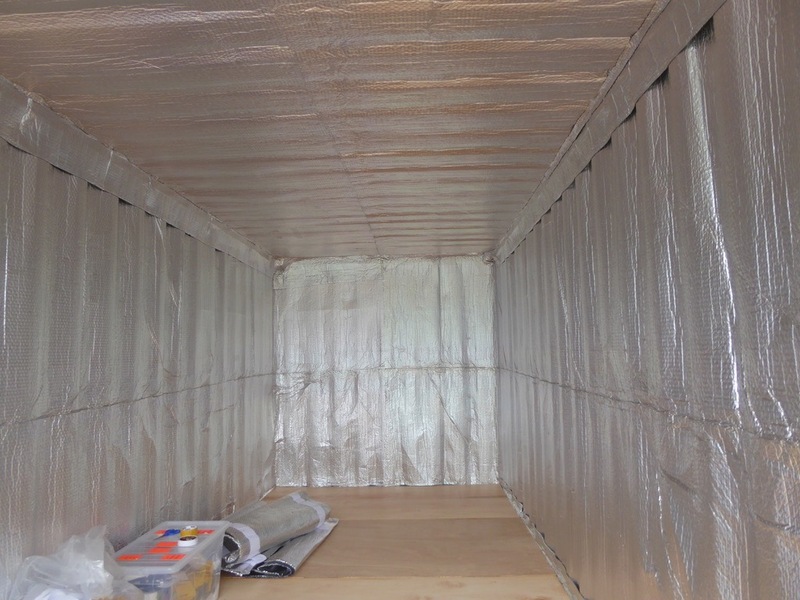 The first task was to insulate the container using a newly-designed system, with sections pre-treated with adhesive to adhere to the container walls. Because the early summer heatwave prevented the setting of the adhesive, the ceiling panels were unstable and eventually had to be secured in place with a light wooden frame made by Dan Fox. This was challenging because he was unable to fix the structure to the steel walls. We briefed the suppliers about these difficulties & they provided extra insulation and tape. The floor insulation was protected with plywood flooring. The next step was to install an electric supply. 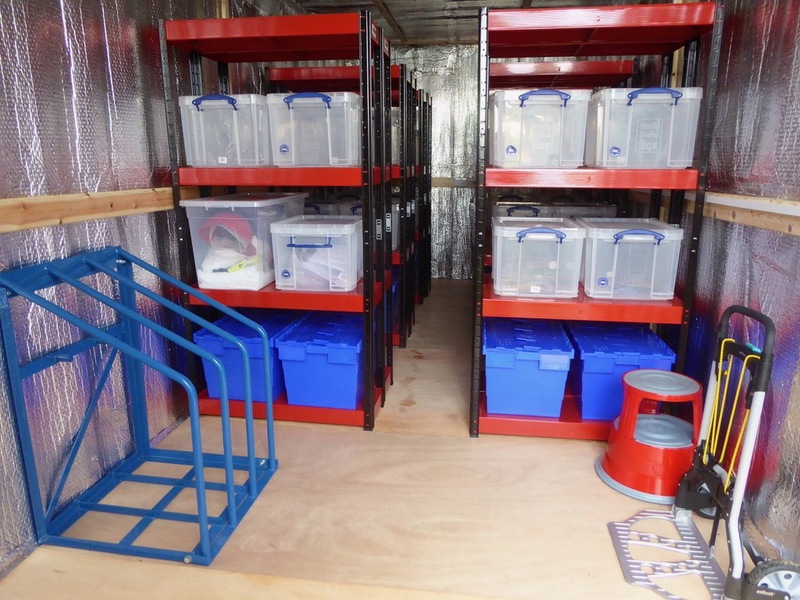 The container was then fitted out with good quality shelving, a full set of collection boxes, kick step and trolley for safe movement of boxes, a working table, rubber mats to protect the floor and a Hanwell datalogger to record the temperature and humidity in the store (compatible with the existing system for the museum and archive rooms). An electric heater and dehumidifier were installed to control the environment and protect the stored objects. The project was completed within budget by the end of October 2018. It involved at least 45 hours of volunteer (manual) work in addition to the desk work of applications, accounts, and reports. 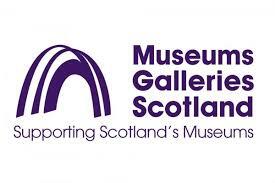 Major contributions were made by Noelle Odling (treasurer), Douglas Breingan (trustee), Robin Patel (museum mentor), and Iain and Sean McDonald (site preparation and installation). Memory McDonald, Dot Hay and Ian MacKinnon helped to push the work on. The curators will now begin the systematic migration of objects from the archive room to the store, facilitating a deep clean and reorganization of the archive room. For the first time in years, we will be able to welcome islanders and visitors to study our objects, documents and images; and we will have more room to do the routine work of looking after the heritage of Lismore.